simpler and quicker administration you can go for cPanel/WHM control panel for your VPS. Choose a server and get 100% uptime and the lowest latency on the newest technologies. We are not just concerned about hosting your site but we would like to extend our technical expertise in this field to help you achieve your goals with ease. We provide our customers with really affordable web hosting plans at the highest quality possible. We have created this range of top web hosting packages by using both windows and Linux based systems that constitutes to the required infrastructure and technical expertise. As reflected by our name we provide the best hosting service because of our dedicated team of Engineers who are able to provide an uptime of 99.9%, which is extremely rare in this industry. Along with this we also provide 24/7 customer and technical support handled by our qualified team of hosting experts. It is a crucial decision to be made when you are trying to choose the best website hosting company for your website. The main factors that people usually consider are the space that they offer and the cost involved. As an expert we know that there is yet another factor that is more critical than the two. That is server uptime. If your site is down most of the time then spaces and affordability become inconsequential. We are able to promise 99.9% uptime server because we well trained technical staff. We have a team of IT professionals, computer science graduates with training and experience in the IT industry. Have a quick question or need help right away? Our live chat team is available to assist you in realtime 24x7 365 days. Our fully redundant, well connected network offers real 99.9% uptime. The smart Technicians are on-site 24x7 monitoring the servers and take immediate action to deal with any server issues before you even know about them. We are confident that you'll be pleased with our performance and support, however for your peace of mind we offer a no-quibble 30 Day Money Back Guarantee on all web hosting plans. We do not charge anything extra, the purchasing rate and the renewal rate is the same. Also We do provide great offers on domain registration as well as domain transfer. We do stick to our words and really we provide the unlimited Domain Hosting plan. We are serving this since a long time and yet no customer gave a negative feedback about it. We do take the backup on the daily & weekly basis just to make sure client wont suffer any circumstances. Make habit to have one backup copy at your end to avoid issues in future. "Sign up with the basic shared plan to test there service few months ago and upgraded my plan to reseller hosting. This support guys has migrated my 28 domains from my old hosting company free and there was no data loss.Strongly recommended." 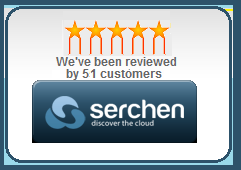 "1 year ago I purchased shared hosting with these guys and got very good support and customer satisfaction from the support team. Hope this good support continues in this year also. Recommended many friends"
"Firstly we are using Dollar2host hosting but we have got very worst experience then we signup for Dazzling hosting service We have been using Dazzling Host for our companies websites and it simply the very best. 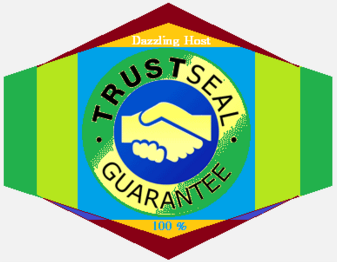 Thank you Dazzling for such a great service :)"
Copyright © 2013 By DazzlingHost. Terms And Conditions Apply. All Rights Reserved.